The American Dental Association recommends that your child have their first orthodontic visit between ages 7 and 8 to correct bite and alignment issues. Teenagers, as well, need to visit the orthodontist to correct the alignment of their permanent teeth. How do you know what orthodontist to go to? Choosing an orthodontist is a big decision, as it will determine the health of your teeth and the quality of care you receive. Orthodontists are different than regular dentists and must go through several years more of quality training. You want to look for an orthodontist that has this training. Finding one that can work with children as well as adults is also important. Learn about orthodontists, what constitutes a good one, and what factors you must consider when choosing one! When you choose an orthodontist, you are choosing a person that has had extensive training and years of schooling to take care of your teeth. An orthodontist must complete 4 years of undergraduate training and then be accepted to a 4-year dental school. They then continue a 2-3 year doctorate training to work with patients to correct bite and alignment. Essentially orthodontists are specially-trained dentists that specialize in bite and alignment issues and straightening the teeth. These are services that can last a patient a lifetime. You want to only choose a speciallytrained orthodontist to work on your teeth. Never attempt to straighten your teeth on your own. A good orthodontist must become certified by the American Board of Orthodontics. They do this through written and clinical exams and then they must recertify often to ensure that their orthodontic training is still at the highest level it needs to be. Another aspect about choosing a good orthodontist is choosing someone that truly cares about your needs and wants you to be as successful as possible. At Belmar Orthodontics, our success is dependent on your success. We try to keep our office up-to-date with the latest state-of-the-art treatment and services to transform your smile into something beautiful in the least amount of time. Incognito Lingual Braces – These are metal braces that are attached to the inside of each tooth. They straighten much light traditional metal brackets, but their hidden apparatus makes them especially appealing for adults and professionals. Invisalign – This is a series of transparent aligners that are custom-made for each patient and are changed every 1-2 weeks. This allows a patient to straighten their teeth virtually invisibly. Plus, the aligners are removable for cleaning, eating, sports and similar activities. Clear Ceramic Braces – These are braces that mimic metal braces but are made of ceramic material. Even the archwire can be made white like the brackets, helping both to blend into the teeth. Ceramic helps decrease demineralization. Retainers – The best way to keep your smile straight is to wear a custom-made retainer after treatment. We can customize retainer trays that you wear each night to keep those pearly whites straight. We can also provide you permanent retainer devices that are attached to the back of your front teeth. Not all orthodontists work with children or know how to. However, child orthodontics is very important for the health of many children. Children should see an orthodontist between 7 and 8 years old. This is a critical time to correct bite and alignment issues that become severe later on in life. These problems cause speech impediments, problems eating, speaking, chewing and more. A good orthodontist will be one that works well with children and keeps the office environment inviting for them. Do You Need a Dentist? An orthodontist does many services to help the health of your teeth, however, they don’t do everything. They are trained just as a dentist is and they know the signs of tooth decay, gum disease and other oral health problems. However, their job is to do orthodontic care, not dental care. That is why they specialized in the field that they did. A good orthodontist will frequently see the signs of tooth decay or gum problems, and a good orthodontist will refer you to a trusted dentist to fix those problems. If you have a cavity or a dental emergency, a dentist is usually the person you want to see instead of an orthodontist. The majority of dentists also offer cosmetic dentistry options such as dental implants, cosmetic bonding, dental bridges, porcelain crowns and porcelain veneers. 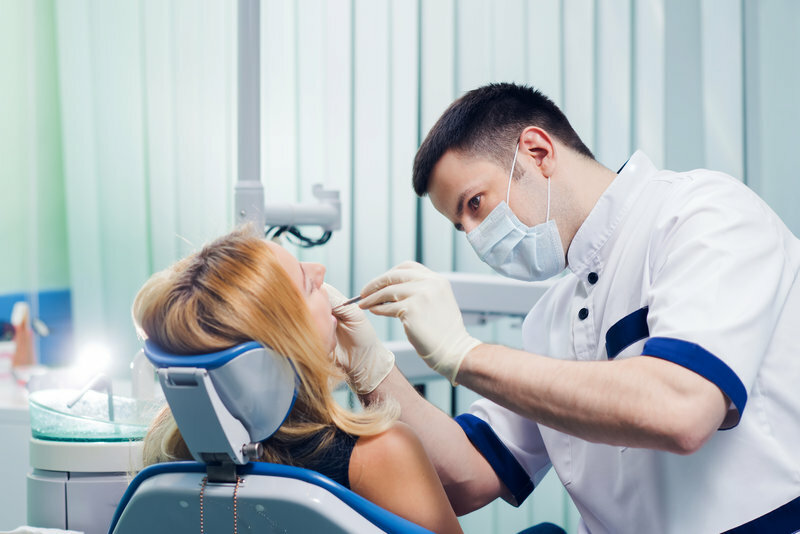 If you want to transform your smile beyond straightening your teeth and correcting bite and alignment, then you want to see a dentist instead of an orthodontist. Even thinking about choosing an orthodontist is a great step in the right direction, as it means you are conscious about your oral health. Orthodontic treatment is a wonderful way to correct a smile and to make it into something beautiful you can keep for life. Studies show that a straighter, more beautiful smile can make you more confident, and others will see you as such as well as more attractive, successful and trustworthy. Who wouldn’t want those things? If you would like to learn more about orthodontic treatment and schedule your free consultation, call Belmar Orthodontics today at (303) 225-9016! Child Orthodontics, Adult Orthodontics, Invisalign®, Invisalign Teen®, Lingual Braces, Retainers, Temporary Anchorage Devices (TADs), and Surgical Orthodontics.